San Juan County, Utah’s white Republican establishment isn’t going down without a fight in this year’s elections—or at least a whole lot of shenanigans. That’s according to a new federal lawsuit filed by Willie Grayeyes, a Navajo candidate for one of the three seats on the county commission. San Juan county is challenging Grayeyes’s residency, just as did during the 2012 election. Grayeyes passed muster then, and the county ended up certifying him as eligible to run for office. This time though, the county is giving the challenge its best shot. According to the lawsuit by Grayeyes, a Navajo and Democrat, the county has nixed his right to run for the commission seat in District 2 with techniques including seemingly backdated documents, hearsay evidence (“It has been brought to my attention…”), and unnamed expert witnesses (individuals encountered “behind the car wash”). The collection of this information has been accompanied by driving adventures in the remote, rugged, sparsely populated portion of San Juan County that overlaps the Navajo reservation. Would-be investigators (a white candidate and later a sheriff’s deputy) got lost and/or confused while looking for Grayeyes’s house. Plus, they apparently didn’t like the Navajo homes they did see, describing the dwellings as not up to their standards. 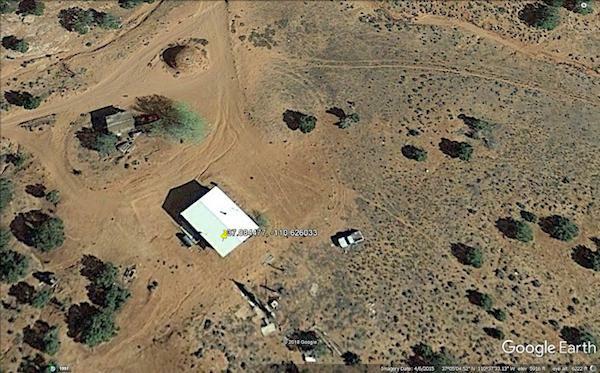 According to a letter to Grayeyes from San Juan County Clerk/Recorder John David Nielson, which is now a court document, the lawman did look through the windows of one house and spied furniture, but found no one at home; the deputy also located a trailer where, again, no one was home. More San Juan County officials got in on the act, but then apparently obscured their involvement, alleges Grayeyes’s lawsuit. The suit also asks why a sheriff’s deputy—normally assigned to investigating various criminal matters—was put to work furthering white candidates’ private interests: Could it have been to give voters the idea that when a Navajo, or a Democrat, runs for office, it is ipso facto a criminal matter? Still, Grayeyes was hopeful, saying the county needs to direct its energy toward healing and cooperation, not fighting. “We need to be united, as one people, and focus on how to address common issues for the benefit of everyone,” he says. In his suit, Grayeyes seeks to be reinstated on the November 2018 ballot. James Francom of the clerk/recorder’s office said the county government has no comment whatsoever on the lawsuit, including specifying what attorney would handle a response to it. White voters may make up less than half of the southeast-Utah county’s population, according to the U.S. Census, but they have had a firm grip on its government for many years. Across the nation, Native voters face similar fights for equal rights, according to an In These Times investigative article. Decades of lawsuits contesting San Juan County election restrictions have moved the Native struggle forward there. An all-mail voting system that was fully operational only in white-inhabited portions of the county, according to Rural America In These Times, has been partially dismantled. In addition, a federal judge has just redrawn gerrymandered county-commission and school-board district lines that favored white voters. The suits were brought by the ACLU, the Navajo Nation, the Navajo Nation Human Rights Commission, the Lawyers’ Committee for Civil Rights Under Law, and the Colorado law firm Maynes, Bradford, Shipps & Sheftel, LLP. “Despite all of these efforts to secure equal rights, Mr. Grayeyes’s lawsuit clearly demonstrates that we are not there yet,” says attorney Maya Kane, who works with both the Lawyers’ Committee and the Colorado law firm. 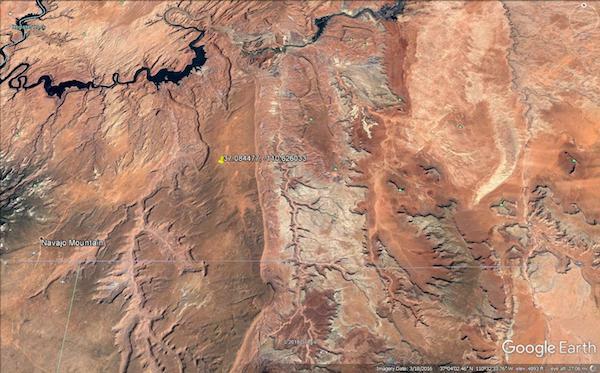 Until the federal judge recast the district boundaries, most of the county’s Navajo residents were grouped into just one district. As a result, it was the only area in which they had the numbers needed to elect their preferred candidates. Now, Navajo voters have a chance to do so in two of the three districts. All three commission seats are on the ballot in the November General Election. The Salt Lake Tribune has reported that local white residents claim to have been “disenfranchised” by the redrawn districts. Additionally, according to the newspaper, they have complained, on the one hand, that Navajo commissioners wouldn’t show up for meetings and, on the other hand, that Navajo officials going to meetings would need higher travel reimbursements than whites elected from areas they inhabit, which tend to be closer to the county seat. Grayeyes has stressed that he was born in Navajo Mountain, has a home and a cattle business there, and has voted in the county for decades, having first registered to vote there in 1984. He serves as a tribal official representing Navajo Mountain and is a local school board member. Navajo traditions call Grayeyes a resident of Navajo Mountain as well. His clan has lived there since time immemorial, and his parents buried his umbilical cord there after his birth. This ties him permanently to the place, according to Leonard Gorman, executive director of the Navajo Nation Human Rights Commission. In May, Clerk/Recorder Nielson announced a decision as the county’s election official. “After a careful review,” Nielson wrote in the letter to Grayeyes that has become a court document, he found him not to be a county resident and therefore unable to vote there. Nielson then struck Grayeyes off the ballot as well. Grayeyes’s lawsuit calls these decisions attacks on his constitutional rights. Grayeyes is a particularly formidable San Juan County candidate, with a powerful voice for the interests of Navajo and other environmentally-aware voters in the area. He is the chairman of Utah Dine Bikeyah, a nonprofit that advocated for establishment of the national monument Bears Ears and is now in federal court fighting its subsequent diminishment under President Trump. The San Juan County commission, as currently configured, has been pro-diminishment, which is widely regarded as a giveaway to extraction-industry interests, including mining and logging. The successful election of Grayeyes could well tip the balance the other way, in support of the monument. Grayeyes has invited Nielsen to meet him at his home and see it for himself.